Talents are the gifts God has given us that enable us to serve Him. All talents or skills that we have can be used to give God glory and are equally important in His eyes. Consider your own talents and ask God how you can best use them to serve Him through His people. Action Steps to Become More Active in Service. Pray about how the gifts God has given you can best be used to serve others. Find a ministry that will help you grow personally in understanding the faith, as well as serving others. Commit to being faithful to Gad through those you serve in word and deed. There are Many Opportunities within each Ministry to Choose From, Click on each Bar for More Information. 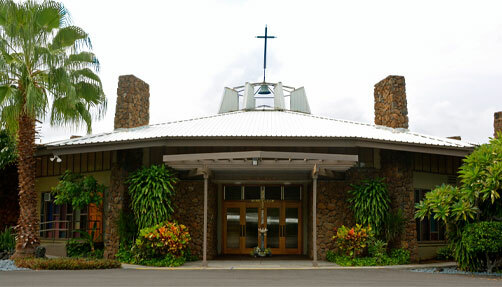 Call the Parish Office at 808-887-1220 for each Ministry Leader’s Contact Information. Waimea & Puako: visit HERE or text @Aprayer to 81010 to sign up or Visit HERE to submit a prayer intention. Working with Habitat for Humanity to build low cost housing for those in need. All skill levels are welcome. Waimea & Puako: Pat Hurney, Sr. 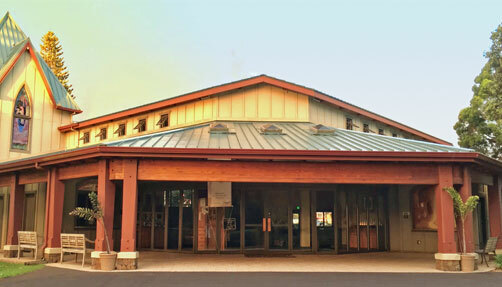 If you’re interested in joining a ministry, please call the Parish Office at 808-887-1220 for the ministry leader’s contact information. God bless you for your interest!